RDA and Insurance Office of America (IOA) - Ronald Diskin Associates Corp. I am pleased to announce that effective April 1st, 2017, my agency (Ronald Diskin Associates Corp.) has joined Insurance Office of America, Inc. (IOA) which is a full-service insurance agency founded in 1988 and is one of the fastest growing independent agencies in the United States. IOA is ranked 13th on Insurance Journal’s 2015 Top 100 Independent Property/Casualty Agencies report, and it is ranked 27th on Business Insurance’s 100 Largest Brokers of U.S. Business List. 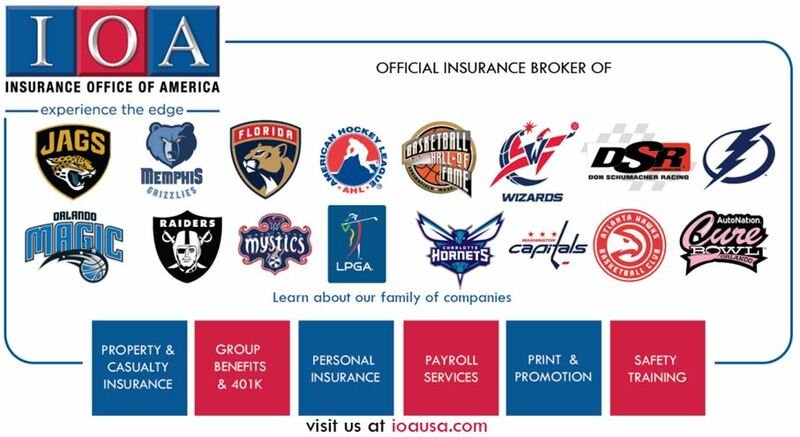 Headquartered in Longwood, Florida, part of the greater Orlando community, IOA has over 50 branch offices in the U.S., and an international office in London. With more than 1,000 associates, IOA specializes in providing insurance solutions for businesses in many diverse industries. Your account will still be handled by the same personnel from RDA with the same personal attention as always, from the same local office, but with greater resources and support. IOA was selected because of its size, market clout and financial stability. IOA is committed to the same values I have always held in highest regard, serving the best interests of our clients and employees. We now have an expanded list of sophisticated services to provide our clients. Our size and professionalism provides our clients with exceptional insurance company market access. Please see our website www.ioausa.com for additional information. The personal and business relationships we have shared mean a great deal to me. I appreciate your loyalty and continued support in the years ahead.